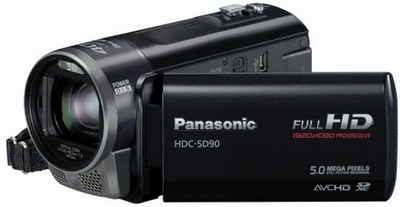 Home » How to Edit Panasonic HDC-SD90 1080p MTS Recordings on FCE? How to Edit Panasonic HDC-SD90 1080p MTS Recordings on FCE? How to load 1080p AVCHD HD video to FCE for editing? Perhaps most HD camcorder users have the similar problem that it turns out to be impossible to edit full HD MTS videos on FCE. For example, Panasonic HDC-SD90 camcorder records video footages with Full HD 1920 x 1080/50p in MTS format, and MTS is not the compatible format for editing on FCE. Although many video editing tools announced that they are able to edit full HD MTS video on Mac, there are always many problems when you are importing those AVCHD videos. In order to avoid the problem and make it smooth to load 1080p AVCHD HD video to FCE on Mac, you’d better convert 1080p AVCHD to AIC on Mac for FCE editing. 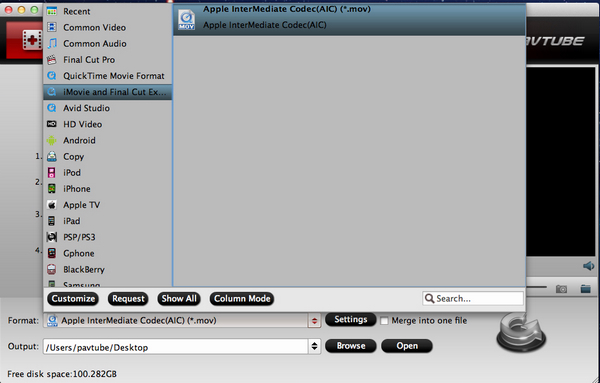 AIC stands for Apple Intermediate Codec which is a common video format that works well with Mac computer and FCE. To convert 1080p AVCHD to AIC on Mac, you need Pavtube MTS/M2TS Converter for Mac which is the best 1080p AVCHD to FCE converter on Mac. With it, you can easily convert Panasonic HDC-SD90 AVCHD footage to FCE for editing with high video quality. Besides, you can also import AVCHD (MTS/M2TS) recordings from other HD camcorders like Panasonic HDC-TM90, Canon HF100, Panasonic HDC-TM700, and etc and convert them to other formats for uploading to YouTube and editing on FCP, iMovie, and Sony Vegas. Guide: How to convert 1080p MTS to FCE on Mac for editing? Step 1: Copy your resource AVCHD recordings to Mac. Connect your Panasonic HDC-SD90 to Mac with a USB cable, and find the AVCHD file folder in hard drive of your camcorder. Then copy the video files to your Mac hard drive. 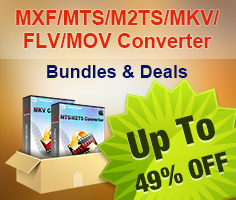 Step 2: Import AVCHD files to Pavtube MTS/M2TS Converter for Mac. Launch Pavtube 1080p AVCHD to FCE converter on Mac and click add button to import the MTS videos to the program. The files will be displayed on the file list tab. Step 3: Choose format for 1080p AVCHD to FCE conversion on Mac. In order to convert 1080p AVCHD to AIC on Mac, you need click the format bar and choose iMovie and Final Cut Express >> Apple Intermediate Codec (AIC) (*.mov). Step 4: Convert Panasonic HDC-SD90 MTS to AIC MOV video for FCE editing. After choosing the format, you need click the convert button and start to convert Panasonic HDC-SD90 MTS to AIC MOV video for FCE editing. Then you can get the AIC MOV videos after conversion finished. With above steps, you will find it easy to convert 1080p AVCHD to AIC on Mac and edit full HD MTS videos on FCE.